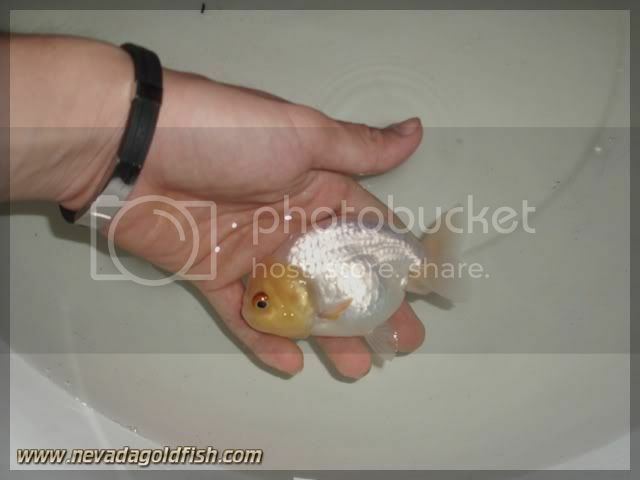 White Ranchu with Red Eyes used to be called as "Rabbit" by some Chinese goldfish breeders. 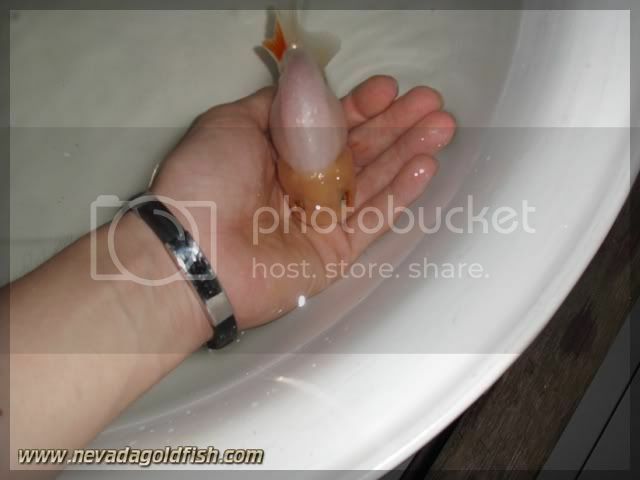 Please note that a high quality "Rabbit" also has yellow pineapple head (wen), and that's why it also called as "Pineapple Ranchu". 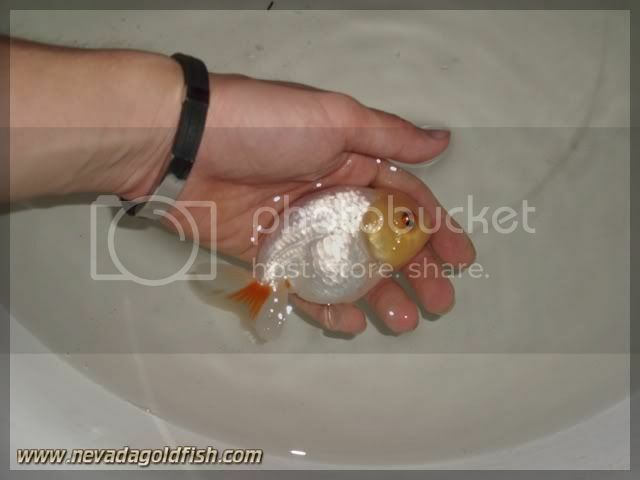 RAN017 has all this talents to be one of super quality Ranchu Goldfish. Watch she out!